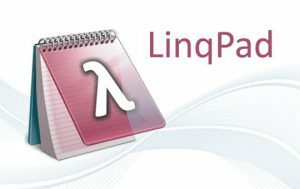 LINQPad is a software utility targeted at .NET Framework development. It is used to interactively query SQL databases using LINQ, as well as interactively writing C# code without the need for an IDE. This expands its use to a general "test workbench" where C# code can be quickly prototyped outside of Visual Studio. Instantly test any C#/F#/VB snippet or program. Query databases in LINQ (or SQL) — SQL/CE/Azure, Oracle, SQLite & MySQL. Enjoy rich output formatting, optional autocompletion and integrated debugging. Script and automate in your favorite .NET language.